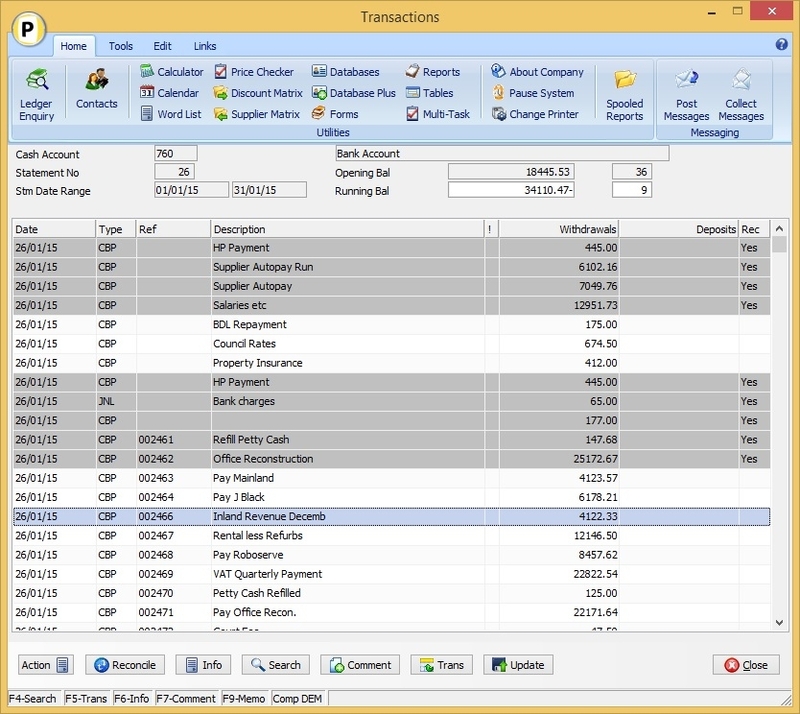 The Datafile Cashbook allows for management and reporting of the Bank and Cash Accounts. Receipts and Payment Routines can be defined to reduce data entry by using posting groups with templates available for posting of direct debits and standing orders. Bank Reconciliation allows you to match the transactions recorded on your bank statement with the transactions entered in the Datafile Ledgers. It allows for additional transactions to be recorded that have been overlooked – interest payments / charges, foreign currency handling changes – with options to comment on transactions not yet reconciled (unbanked supplier cheques for example). 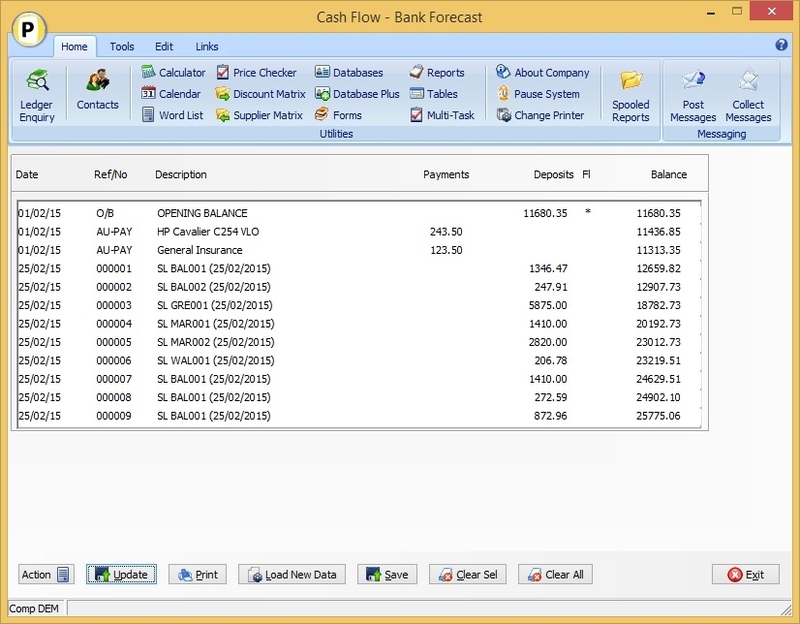 A multi-version Cash Flow Forecaster can project forward and simulate bank balances based upon expected payments to suppliers and receipts from customers, including any commitments on standing orders or direct debits. 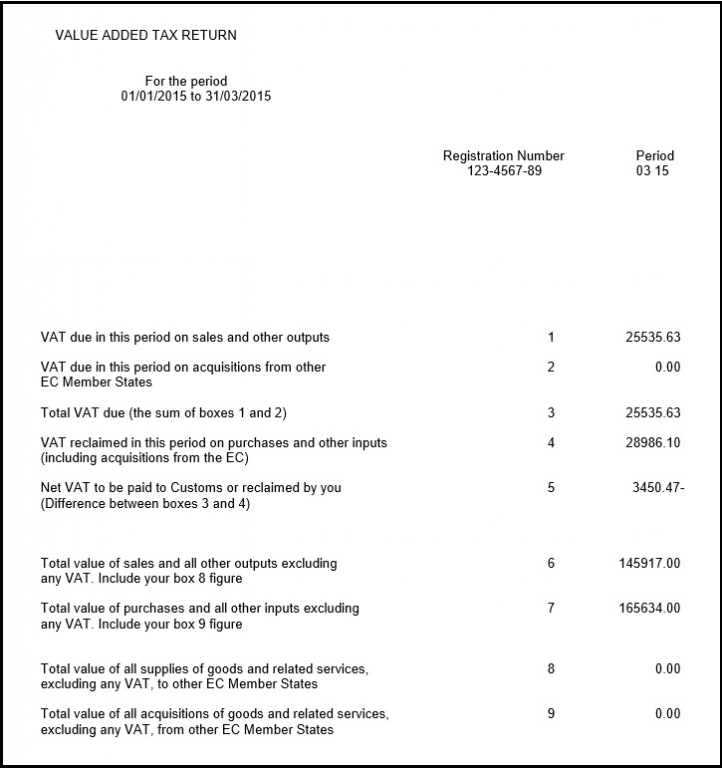 Generating the VAT Form 100 information is a straightforward process – as well as the summary for updating to the HMRC a full audit trail of supporting transactions is produced. The Datafile 2018 software supports electronic submission of the VAT Form 100 to the current HMRC portal.